When the Animals of the southeastern woodlands challenge the Birds to a game of stickball, two of the smallest Animals are not allowed to play. The Bear, the Deer, and the other big animals think they are too small to compete. 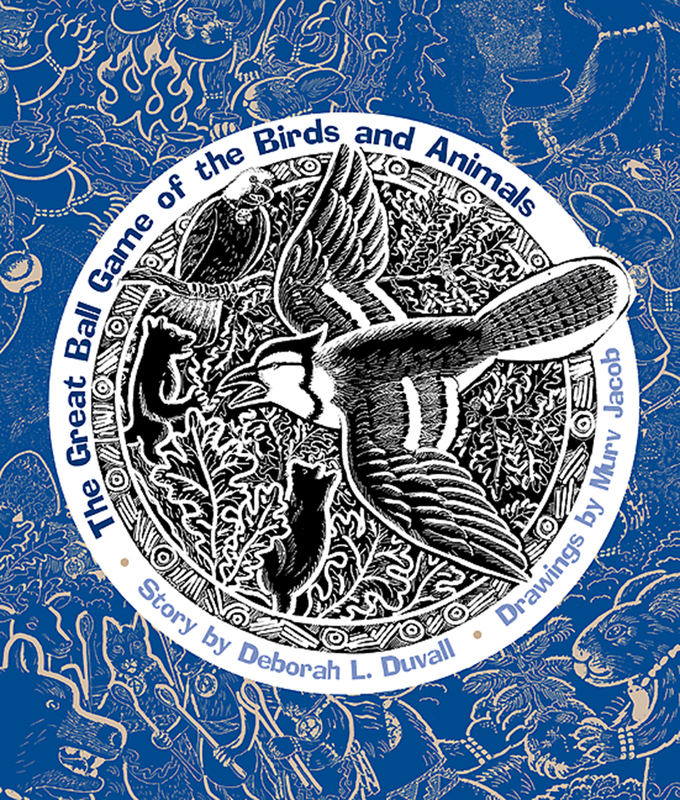 In this ancient Cherokee story the little animals find a way to play in the Great Ball Game. This is a story about courage in the face of adversity, the thrill of the game, and the joy of victory. Teaching the virtues of creativity and determination, it takes us to a magical time when the animals talked and wonderful things happened in our world. Murv Jacob's beautiful drawings bring the characters of Cherokee legend to life, and Deborah Duvall's dialogue explains the ceremonial preparations and the rules of stickball, a game integral to Cherokee culture that is played enthusiastically to this day. Deborah L. Duvall is an author of books and short stories on Cherokee history and tradition, a singer-songwriter, and a professional in financial management. She was born and continues to live in Tahlequah, Oklahoma, capital of the Cherokee Nation. Murv Jacob, a descendant of Kentucky Cherokees, is an internationally known artist whose illustrations appear in over seventy book and video projects. He won the 2003 Oklahoma Book Award for Design and Illustration for his drawings in The Great Ball Game of the Birds and Animals.